Ideal for: This resort is for couples looking to be close to all of the action in Cancun and also have a variety of wedding ceremony and reception options. 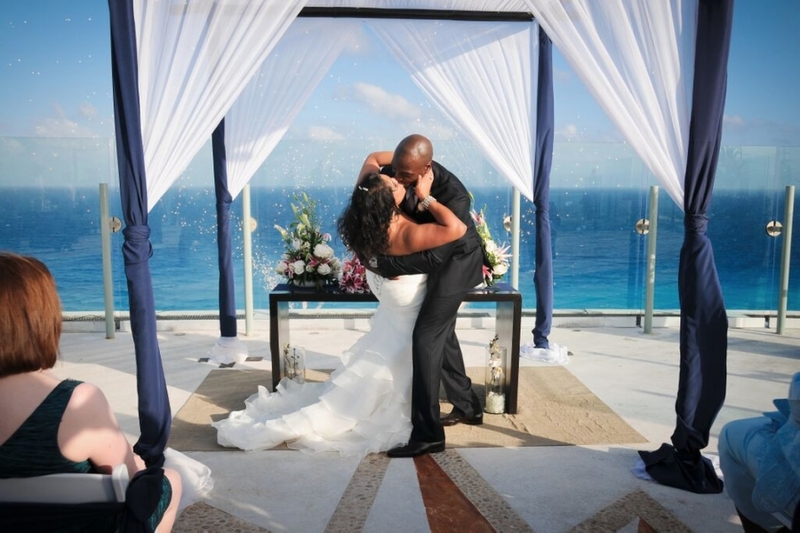 We love Beach Palace because of its size, location, and amenities for a destination wedding. It’s not called Beach Palace for no reason, the beach that you will be relaxing on is stunning. Can you imagine the wedding pictures? You will also have breathtaking views of the Lagoon, picturesque pools, and exquisite décor. This property is also close to everything fun in Cancun, nightclubs, excursions, and shopping. If you are looking for a resort that has everything you need inside and out, Beach Palace might be a great option. Best of all, there is a unique and private reception area specialised for weddings. Couples can have a private wedding reception on the beach or move it up to the top floor Sky Deck where they can privately entertain their guests under the stars overlooking the ocean and lagoon with breathtaking views. The private reception area also contains a small pool that glistens against the night lights creating more than a bit of magic at your wedding reception. Furthermore, this beautiful property is only 25 minutes away from Cancun International Airport.